Fivethirtyeight.com took a look at the 22 states that had both a gubernatorial and U.S. Senate race in 2018 to see if voters split their votes, selecting one party for governor and the other for Senate, and found that the same party for the top ticket races won in 17 of the 22 states. Democrats won both races in 12 states (CT, HI, MN, ME, NY, WI, NM, RI, PA, MI, NV, and MN), while Republicans carried both in five (FL, TX, TN, WY, and NE). Voters split their vote in the remaining five states (MA, VT, MD, AZ, and OH), electing a Democrat for U.S. Senate (four of which were incumbents) and a Republican for governor (four of which were incumbents). The power of incumbency was largely a factor, especially for Republican victories in blue states. Out of these five ticket-splitting states, the largest swing from Democratic Senate victory margin to Republican gubernatorial victory margin was in Massachusetts, where Sen. Elizabeth Warren won by 25.5 points and Gov. Charlie Baker won by 31.9 points (a swing of 57.4 points). The swing was 54.9 points in Vermont (Sen. Bernie Sanders won by 40.3 points and Gov. Phil Scott won by 14.6 points), and 46.8 points in Maryland (Sen. Ben Cardin won by 33.4 points and Gov. Larry Hogan won by 13.4 points). These three states were outliers, however, as no other state saw a difference larger than seventeen points. 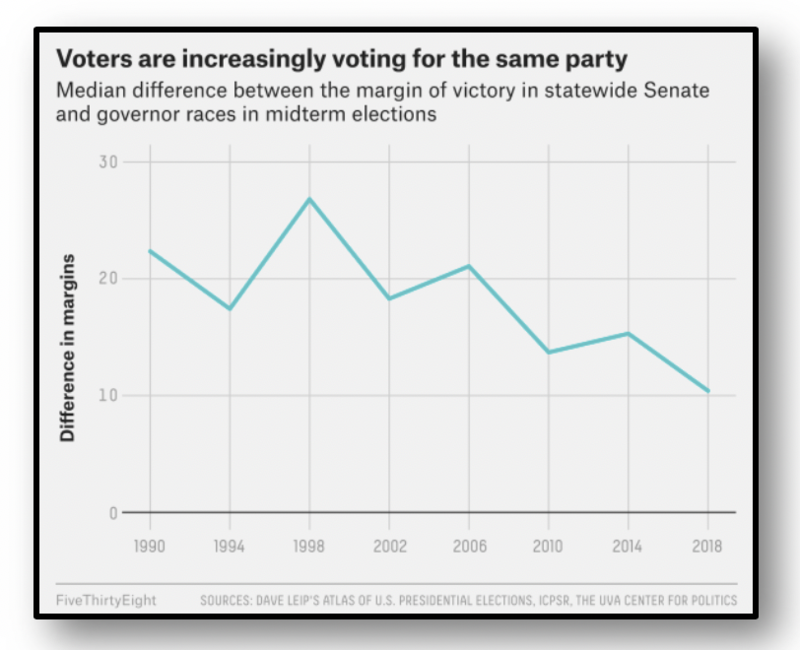 Over the past thirty years, split-ticket voting in Midterm Elections hit a high in 1998, when the median difference between Senate and gubernatorial victories was close to thirty points. It peaked again in 2006 to around twenty points, but has otherwise consistently declined. The 2016 presidential election showed that split-ticket voting is on the decline on the presidential level as well. In all 34 states that had U.S. Senate elections in 2016, voters supported the same party for both Senate and president. 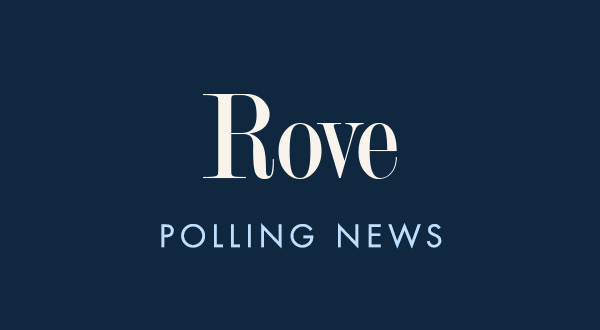 Looking ahead to 2020, split-ticket voting will be something campaigns in competitive U.S. Senate and gubernatorial races will need to consider, especially in blue states that have Republican incumbents up for reelection.